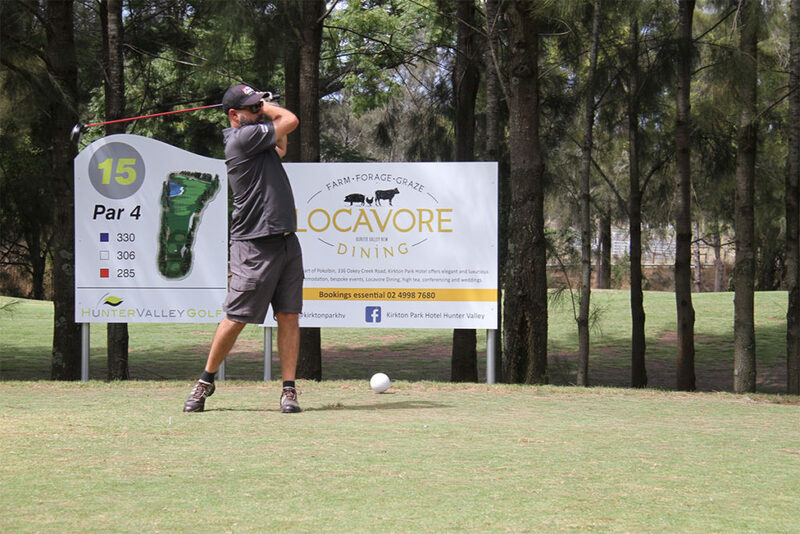 Every year, OzHarvest Newcastle holds an annual charity golf day to raise funds in order to collect excess food from commercial outlets and deliver them directly to other charities. This worthy cause moves 180 tonnes of food each week from over 3,500 food donors and passes it on to those who need it. 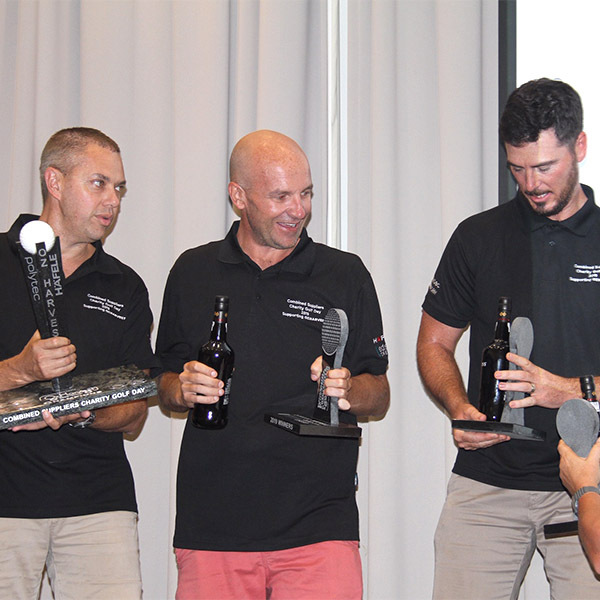 CDK Stone was proud to enter and compete in this year’s charity golf day to support this admirable charity. 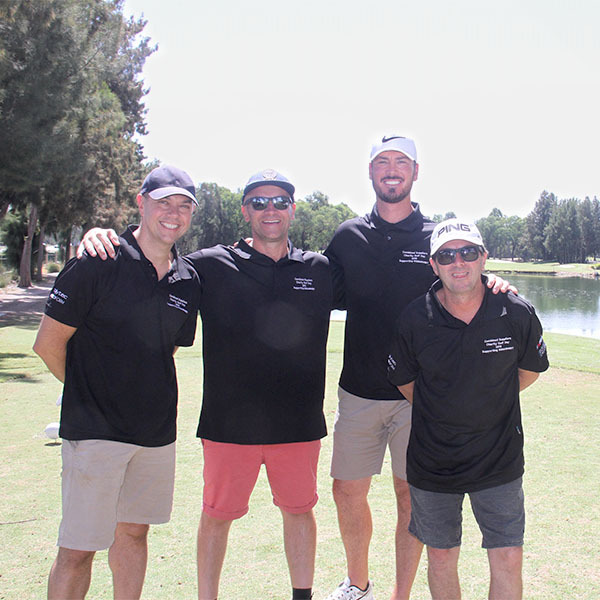 CDK Stone’s NSW State Manager, Nathan Karpenko with our Newcastle Sales Consultant, Luke Waters, alongside Pacific Designer Kitchens, compete well and ultimately won this golf day! 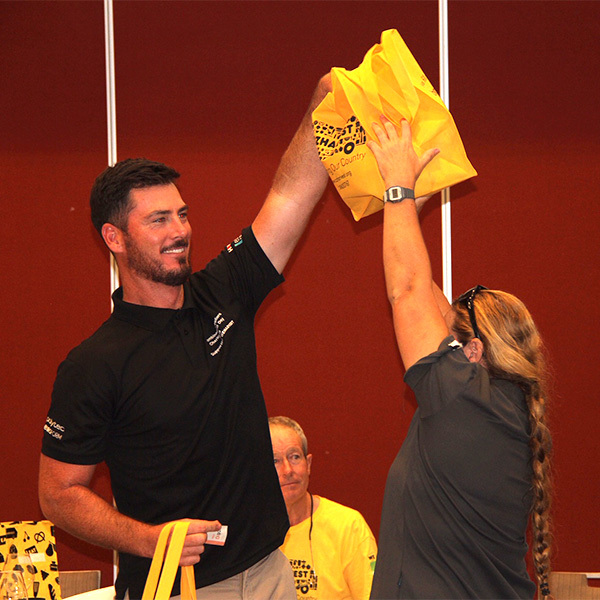 The efforts of all those who competed saw OzHarvest Newcastle raise close to $30,000. This will directly assist this organisation to collect, transport and deliver food from local donors. 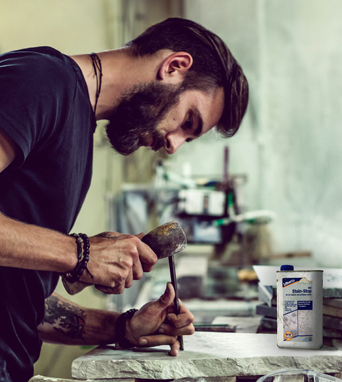 CDK Stone, alongside Pacific Designer Kitchens, were proud to support this worthy cause! 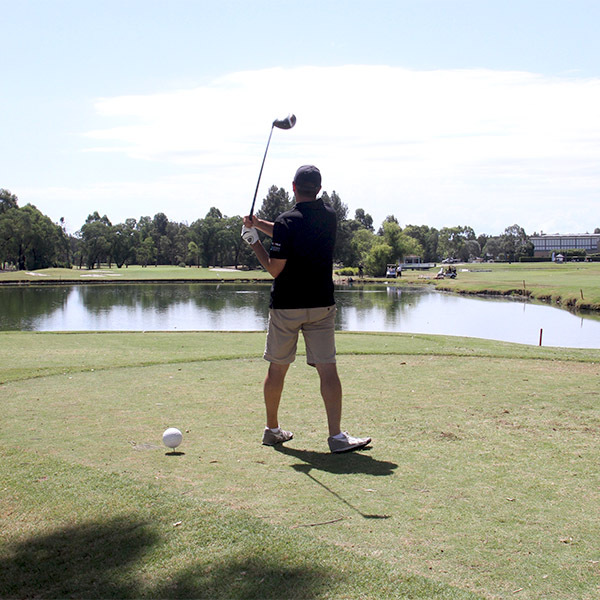 Also, a special mention to Edstein Creative for being a major sponsor of OzHarvest Newcastle’s charity golf day. This entry was posted in CDK Stone. Bookmark the permalink.